November 25th Skyward Sword European Release! Go Nintendo reported today about a European retailer setting the release date of The Legend of Zelda: Skyward Sword for November 25th. However to our knowledge Nintendo has yet to give an official release date other than “this holiday season.” I assume this November 25th date is speculation on that retailers part. However, the article states that the retailer is claiming that is the release date. Does this retailer have information from Nintendo that we don’t? I think it is more likely that this date is a placeholder designed to further promote the highly anticipated game and push pre-orders. A solid release date would be great though. 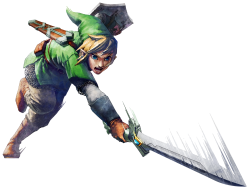 The article goes on to remind us that Skyward Sword is set to release with two versions, one packaged with the Zelda 25th Anniversary gold Wiimote Plus and the other with just the game. November 25th does sound like a nice number for the 25th Anniversary though.